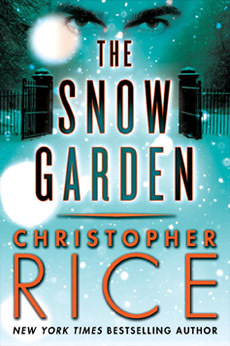 Christopher Rice’s second New York Times best-selling thriller is a spellbinding story of murder and sexual menace. This exclusive e-book edition is loaded with new material, including a deeply personal afterword by the author and the novel’s original ending. At prestigious Atherton University, Kathryn Parker and Randall Stone form an immediate, unbreakable bond. Having escaped a relationship that almost destroyed her, Kathryn finds solace and comfort in the constant companionship of her attractive gay best friend Randall, a New York bon vivant whose own past is steeped in glamour and intrigue. When a respected professor’s wife drives to her death in an icy river, Randall’s illicit relationship with the woman’s husband threatens to come to light. Randall is desperate to discover the truth behind the woman’s death, before Kathryn’s lofty image of him is tarnished by scandal and deceit. Enter Jesse Lowry, Randall’s gorgeous, seductive roommate, a man who suspects both Kathryn and Randall of harboring dark secrets about their pasts, secrets he is determined to uncover using any means necessary. But soon, Kathryn, Randall and Jesse will realize they are all unwilling pawns in the machinations of a malevolent force that has taken hold of Atherton itself, turning the snowbound campus into a place where all of their oldest fears, veiled passions and secret nightmares are about to come to life. Hailed as “an enthralling narrative” (Booklist) THE SNOW GARDEN was an instant bestseller that swept aside suspicions its much talked about young author was a one-hit wonder. It went on to receive a Lambda Literary Award, and Rice’s many fans consider Randall Stone to be one of his most intriguing and controversial characters.